Hi, y’all! Welcome to AMS. I’m Audrey Madison Stowe (hence the AMS ;)) and this is my little corner of the internet that I’m so happy to share with y’all. I’m a 21-year-old girl from Dallas, TX but currently live in Lubbock, TX with my fiancè. I graduated May 2018 from Texas Tech University and am a Zeta Tau Alpha alumni. I also got engaged to the love of my life May 2018 and decided to stay in Lubbock another year. I graduated with a degree in Public Relations and currently work for a PR firm in the area and also run my blog. 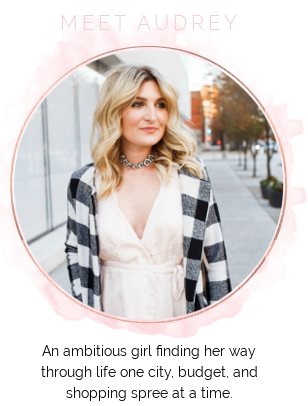 I started my blog to share my ideas and obsessions; find anything from fashion tips, beauty secrets, and even my daily lifestyle. I’m an ‘old soul’, I believe in affordable fashion, I enjoy way too many cups of coffee, acting a few years older than I really am, my alone time, all things beauty, traveling, and living in my own little world. (I seriously daydream way too much).